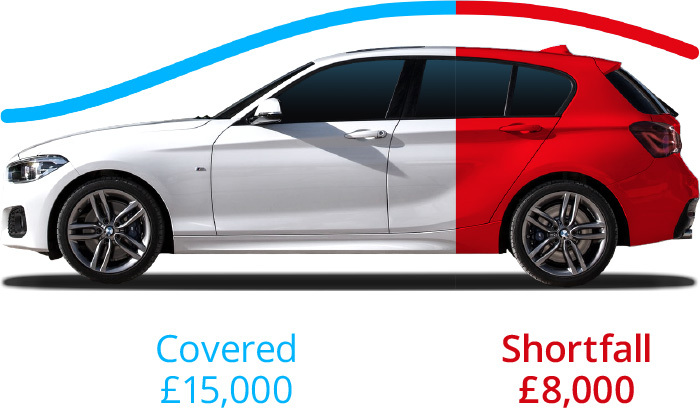 *Example shows the amount covered by your Comprehensive Vehicle Insurance (based on average depreciation rates and current market value) and the potential shortfall if your vehicle is written off. How does this policy compare to Return to Invoice Plus? Pays up to replacement cost of a vehicle matching the original or your finance settlement figure if that is higher. For vehicles bought outright or on finance. Pays you back to the price you paid for the vehicle or your finance settlement figure if that is higher. You get back the money you paid for your vehicle to use as you wish. For vehicles up to 10 years old, no upper mileage limit. I'm looking at a Vehicle Replacement quote. What figure do I use as my purchase price? Our Vehicle Replacement Plus policy is an optional add-on to our Back to Invoice Plus policy. For this reason you would still use the invoice price of your car itself including manufacturer fitted extras and dealer fitted extras (as long as these are on the manufacturer price list and appear on the vehicle purchase invoice). Include within this any deposit or trade in you have made against the purchase but use the price of the vehicle after deducting any dealer of manufacturer discount. You don't need to include any interest or charges relating to your finance agreement, if you have one. Do include: Factory extras, dealer fitted extras which are on the same invoice as the car and on the manufacturer’s price list. Don’t include: Interest charges, manufacturer delivery charges, paint protection, fuel, road fund licence, extended warranty, insurance and service plan costs. What is the difference between Return to Invoice and Vehicle Replacement? Return to Invoice Plus will cover the difference between your motor insurer's settlement and either your invoice price or outstanding finance - whichever is greater at the time of a write off. 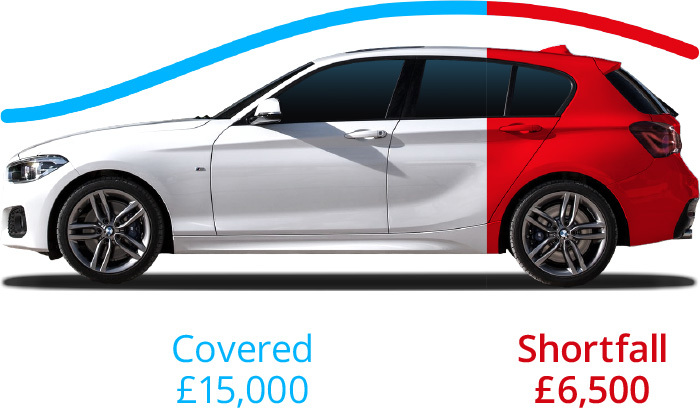 The Vehicle Replacement Plus policy would pay the difference between your motor insurer's settlement and either the replacement cost of a vehicle of the same make, model, age and specification as the original vehicle or the outstanding finance, again whichever is greater at the time of a write off. I own my vehicle outright, which GAP Insurance do I apply for? If your vehicle is new or up to 10 years old and it was purchased within the last 365 days, we are able to offer you Vehicle Replacement Insurance or Return to Invoice. The Vehicle Replacement Plus policy covers the difference between your motor insurer's settlement and the replacement cost of a brand new vehicle, if your vehicle was new at the time of purchase. Alternatively, if your vehicle was not brand new, it covers the difference up to the cost of a vehicle which matches the age of the vehicle that you originally insured. The Return to Invoice Plus policy pays the difference between your motor insurer's market value settlement and your original invoice price.